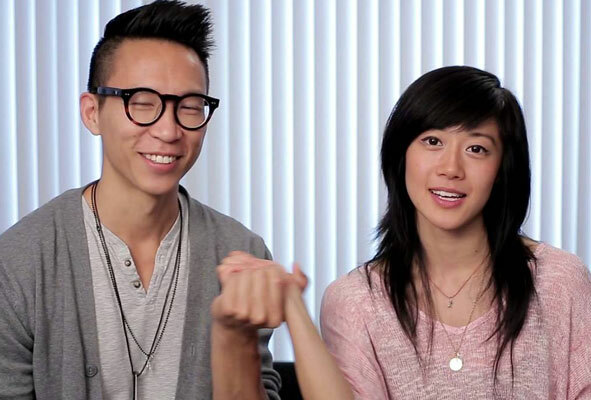 Comfort is an engaging love story of two millennial Asians who quickly move from Meet Cute to challenging each other's safe illusions about life. Chris Dinh plays Cameron, an isolated and shy courier who works permanent midnights because of a sun allergy that he would rather ignore. Jasmine (Julie Zhan) drops into his world as a package to be delivered to her workaholic father, Martin, in Los Angeles during a stop-over to Japan. A purple stuffed toy from her childhood softens the outspoken rich man's daughter long enough to forge a friendship that moves both of them beyond their comfort zones. Jasmine coaxes Cameron out of his shell with sassy humor, and he returns the favor by using his practical experience to show her the benefits of understanding her father's drive for economic success. 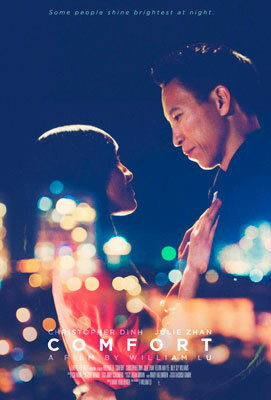 Realistic dialogue by director William Lu and careful pacing allows us to fully enjoy the nuances of their interactions, while Julie Zhan steals this gentle film with her authentic portrayal of Jasmine. Dinh's elevated delivery man might be missed, because he's stuck playing the more reserved Cameron, but if the main characters stay with you long after the end credits - then the movie is a bonafide success.